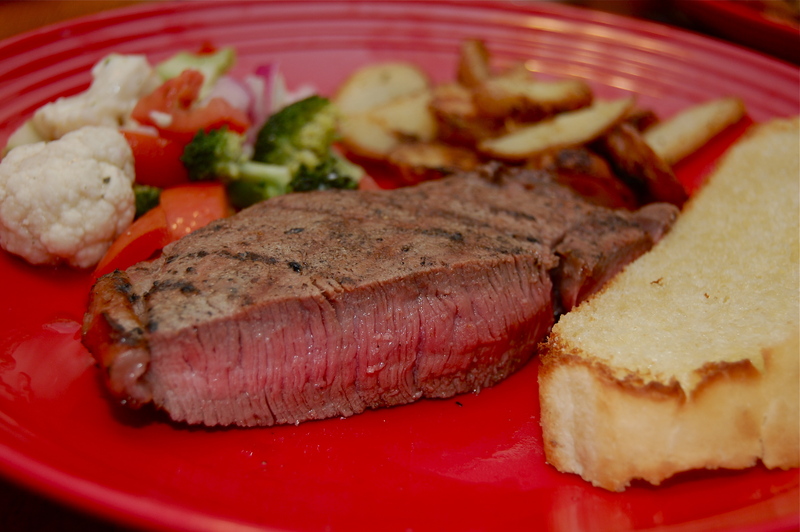 Steak with Ranch Potato Wedges and toasted French Bread…I added the Colorful Veggie Salad to my plate…and my plate only. No one else likes it but me. As I said, yesterday, Mike requested 2 desserts for his birthday 😀 He doesn’t usually get real specific about what I make or bake. He’ll eat just about anything. But for his birthday he knew just what he wanted. And since he requested no presents because he’s saving up for an IPad….the least I could do for him is bake what he asked for: Key Lime Pie and this, Pretzel Salad. The name itself is a bit deceiving, in that there’s a whole lot more going on in this “salad” than pretzels. And just for the record…I don’t think it’s much of a salad, but a whole lot more like a dessert. Not only is it one of Mike’s favorites, but Cader’s, too. 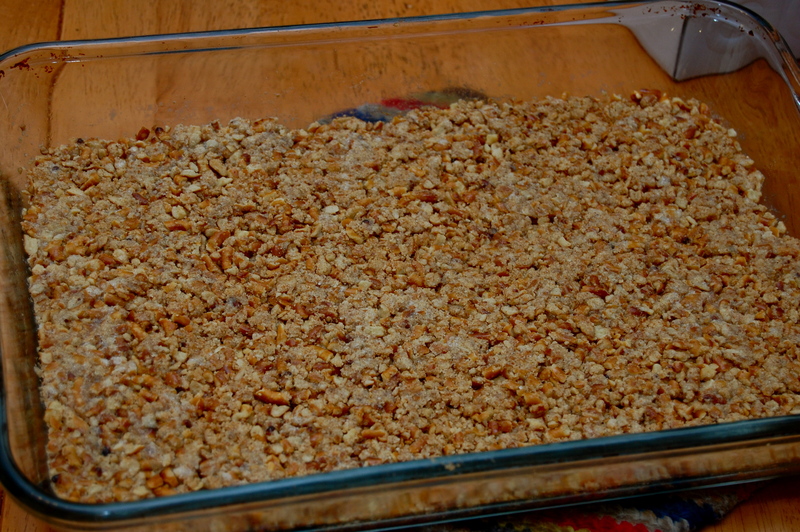 Prepare crust: Combine pretzels, butter, and sugar and press into bottom of 9×13 pan. Bake for 8 minutes. Let cool completely. 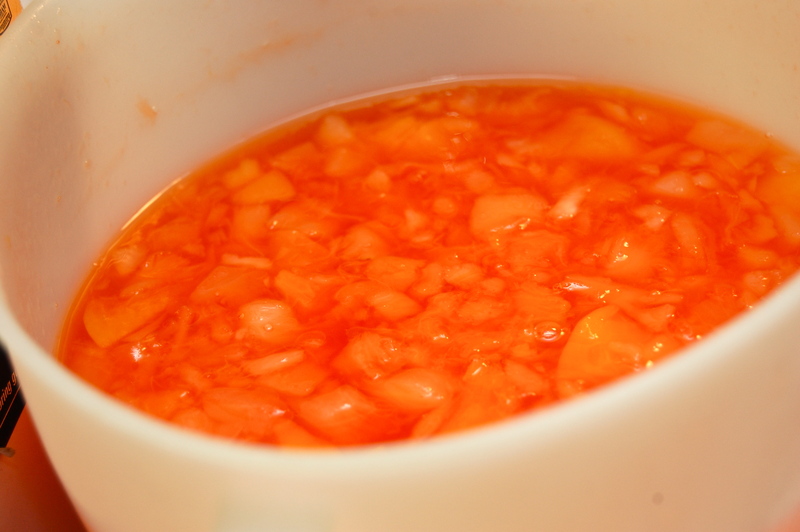 Prepare topping: Combine gelatin with boiling water and stir until dissolved. Add pineapple and peaches. Place in refrigerator or freezer just until starting to set but not firm. 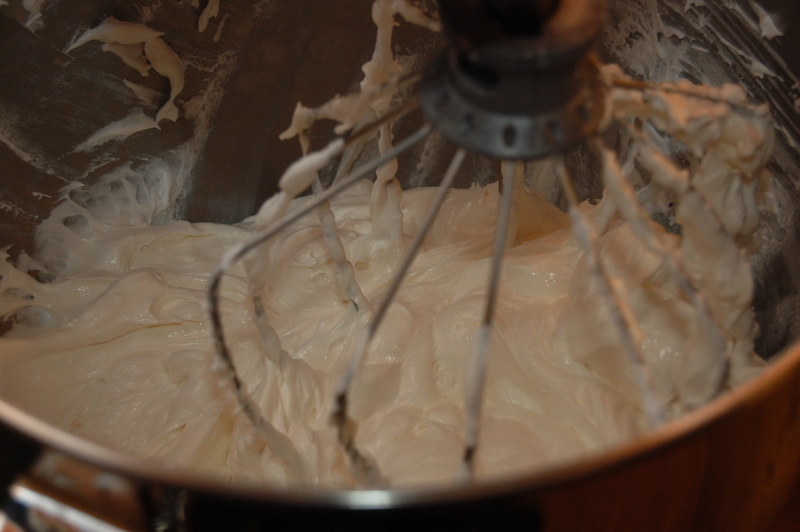 Prepare filling: Whip cream cheese, sugar, and cool whip. Spread over top of cooled pretzel crust. Pour slightly set gelatin over top of cream cheese filling. 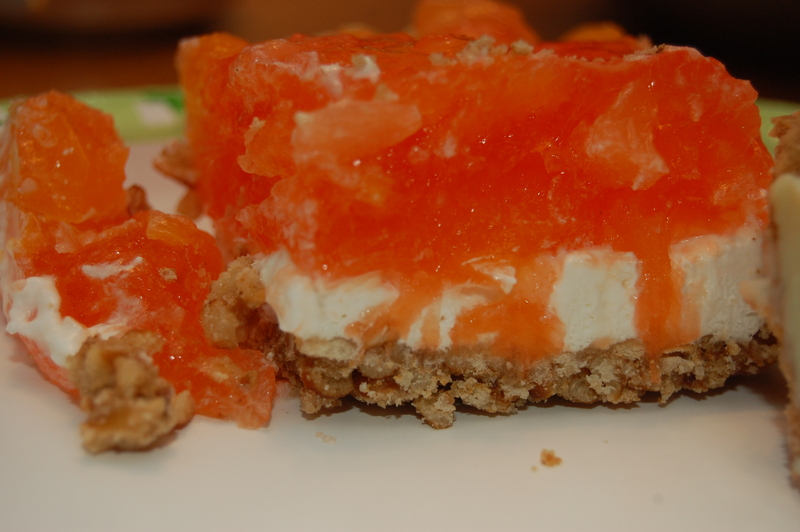 Place entire dessert into refrigerator for at least 4 hours or until gelatin topping is completely set. You can see all the delicious layers…. on July 24, 2012 at 7:49 pm | Reply Cindy S.
Hi… was wondering about the ounce size pkg. 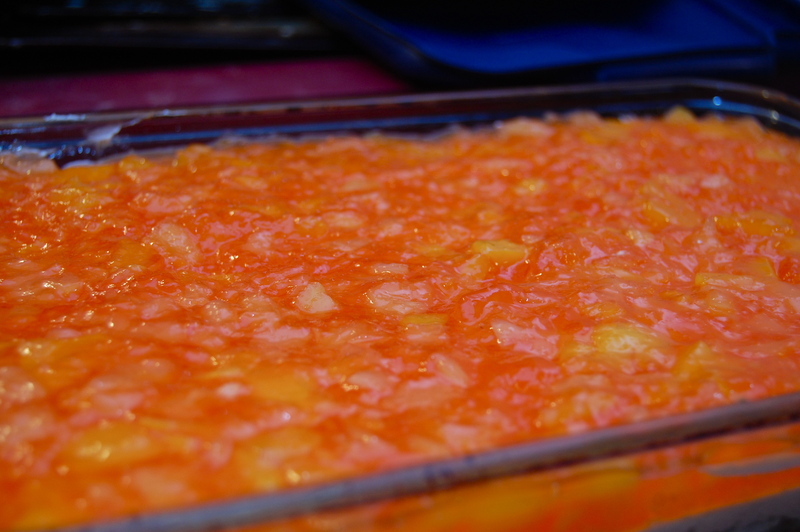 of the gelatins required and if the peaches need to be drained also… looks great! on July 25, 2012 at 8:48 am | Reply Cindy S.
WOW! 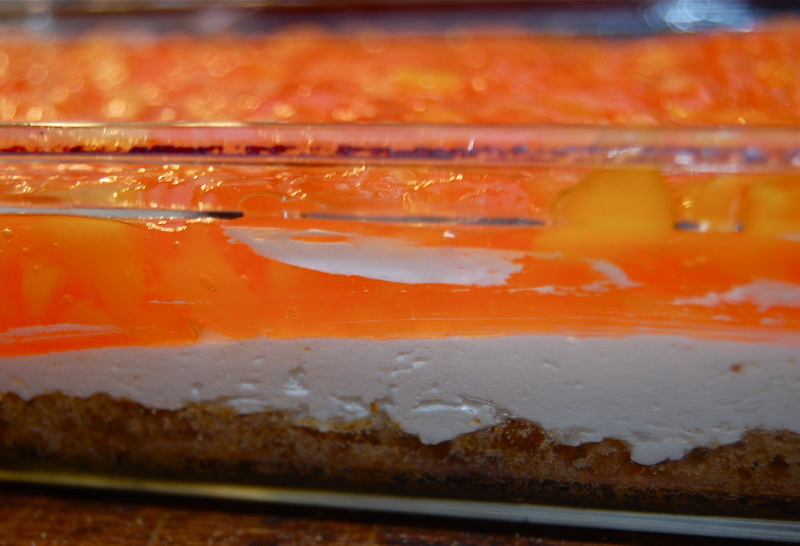 This recipe is great… came out perfect and I never would have thought to try orange and peach gelatin together but what a delicious flavor.